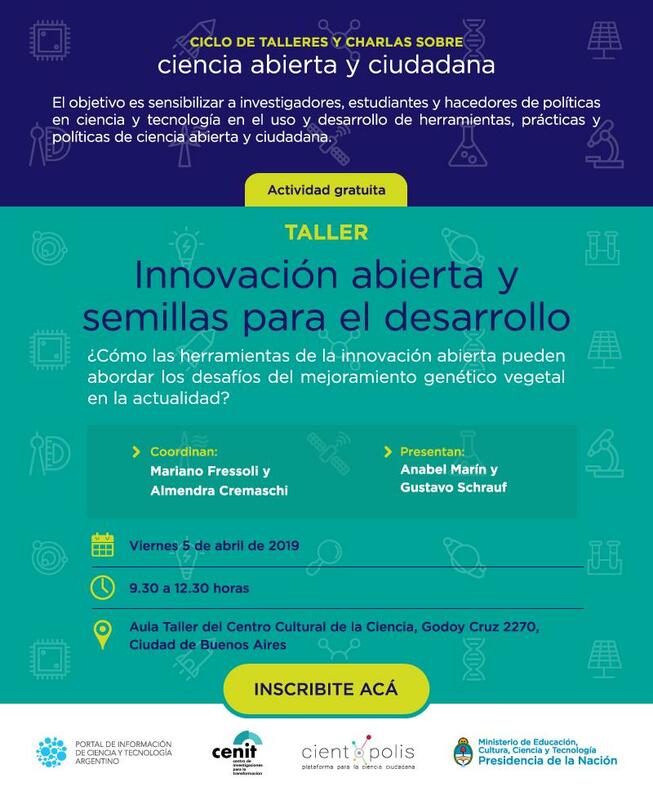 On Friday, April 5, we will open the second season of the Open and Citizen Science talks and workshops with “Open innovation and seeds for development”. The idea is to work together on how the tools of open innovation can address the current challenges of plant breeding. It will be from 9.30 to 11.30 in the Cultural Center of Science, also known as C3, in Palermo. The three-hour workshop will be divided into two stages. 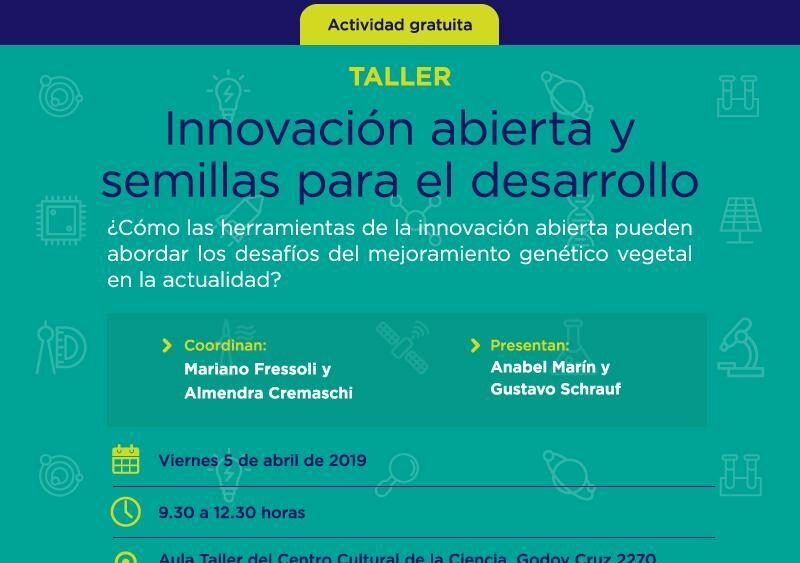 In the first, Anabel Marín, director of Bioleft, and Gustavo Schrauf, head of the chair of Genetics of the Faculty of Agronomy of the University of Buenos Aires, will present an overview of the situation of the seed market and the potential of a paradigm of open innovation. In the second half, we will explore with a participatory dynamic how intellectual property laws affect the processes of breeding. The cycle is organized by the Ministry of Education, Culture, Science and Technology, the Cenit Foundation and Cientópolis. Admission is free, with prior registration through this form. Come join us!